Wednesday to come is the first in a trilogy of plays by Renee (formerly Renee Taylor), about four generations of working-class New Zealand women. It is set in 1934, during a hunger march by unemployed workers. Wednesday to come was first performed at Wellington's Downstage Theatre in August 1984. 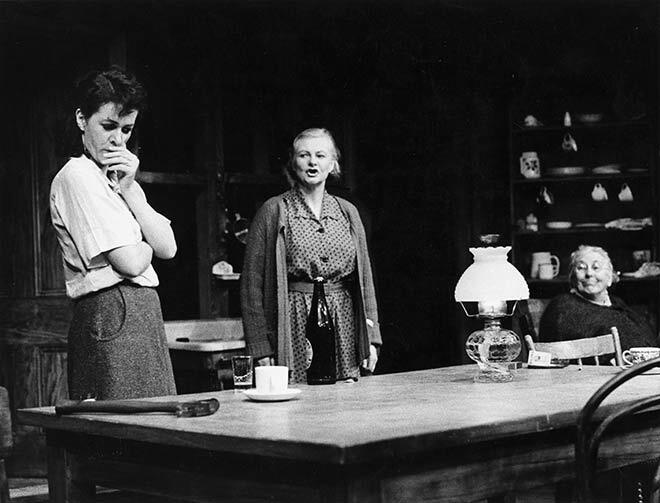 This photograph shows some of the cast – from left, Jane Waddell, Kate Harcourt and Davina Whitehouse.